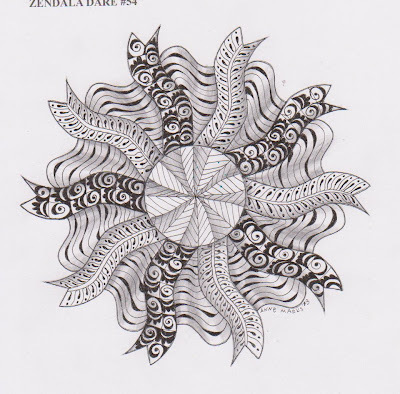 Wow, your zendala is GREAT. I love what you did between the ribbons, it's quite elegant. And, yes I know what you mean. I sometimes wonder how I could ever find the time to work. But .... I still miss it and especially beeing part f a group. Looks great. Like the combination of tangles. It is always interesting to see how people used tangles that never were things that I considered and the unique results that they achieve. Thanks Donald. Its encouraging to receive your comments. 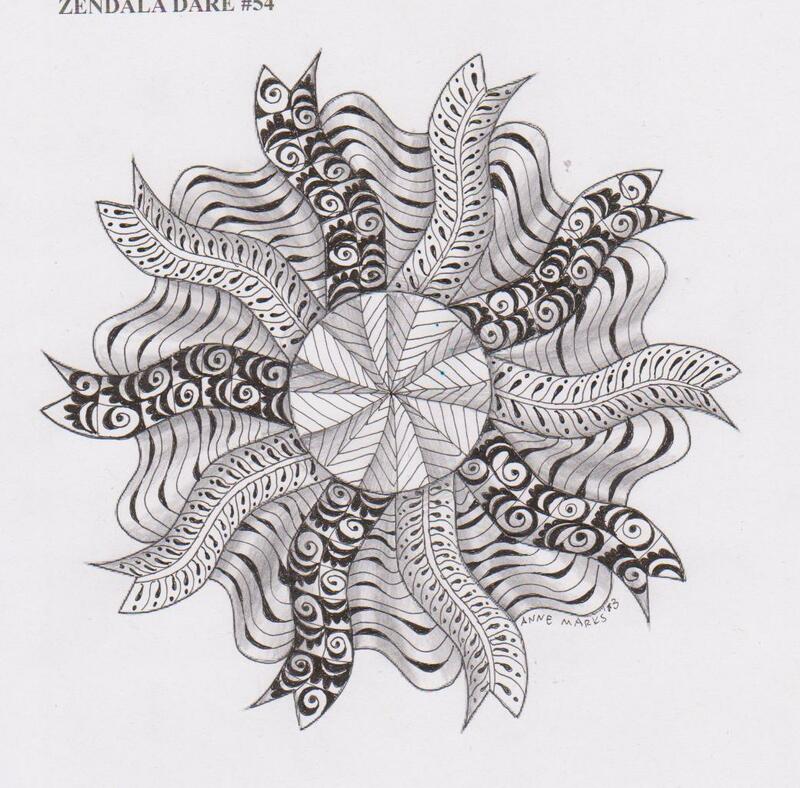 Wow - Your Zendala is fabulous! The balance is nice and all of your patterns are so complimentary. Very pretty! Thanks Jacque for your kind words. Glad you enjoyed it! Very nice! Great choice of tangles, and I love your Diva dance between the ribbons. Great shading too.